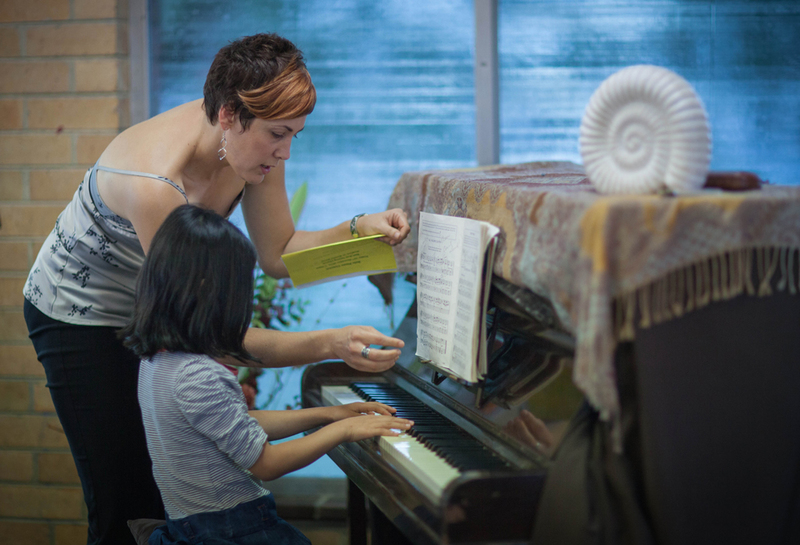 Rachael provides piano and theory lessons to students of all ages with a focus on early-intermediate levels. Learning on a high quality Yamaha acoustic piano and through a broad range of classical, contemporary and jazz styles, students achieve their musical goals in a supportive and enjoyable environment. Rachael is committed to providing music tuition that supports further development of self-confidence and self-esteem. Piano lessons are designed to meet individual student needs and include thorough training in theory and music reading, along with the development of secure technique and aural skills. Rachael fosters students' interest in improvisation and composition, and to complement learning, encourages attendance at live concerts and exposure to a wide variety of musical styles and genres. Lessons prepare students for entry into AMEB Grade levels which can be undertaken once students are ready. "I am an adult and I took up piano as an almost complete beginner about a year and a half ago. Private lessons with Rachael have been fantastic. Every week I look forward to the lessons which are completely tailored to me. She has an infectious passion for music and most lessons start with her producing a handful of new pieces she has found that she thinks I might like based on both my taste in music and my skill level, or even suggestions for jazz piano gigs in Melbourne that I should check out for inspiration. I've learnt a wide range of pieces with Rachael, ranging from Tchaikovsky to Debussy, jazz to pop and musicals.